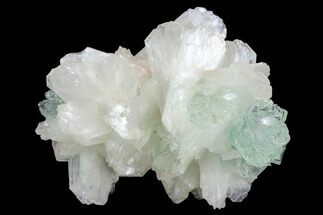 This is a cluster of green heulandite crystals from the Deccan Traps (the world largest basalt flow) in India. 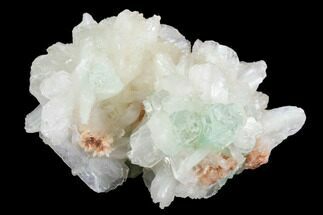 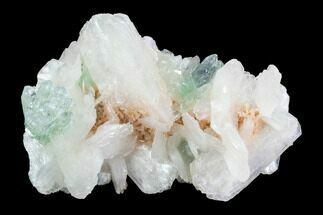 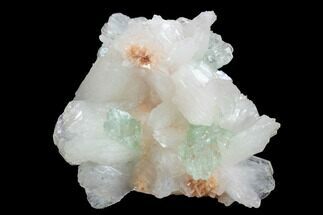 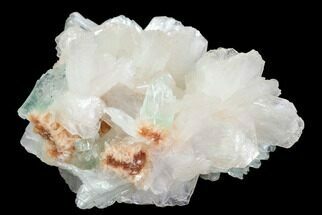 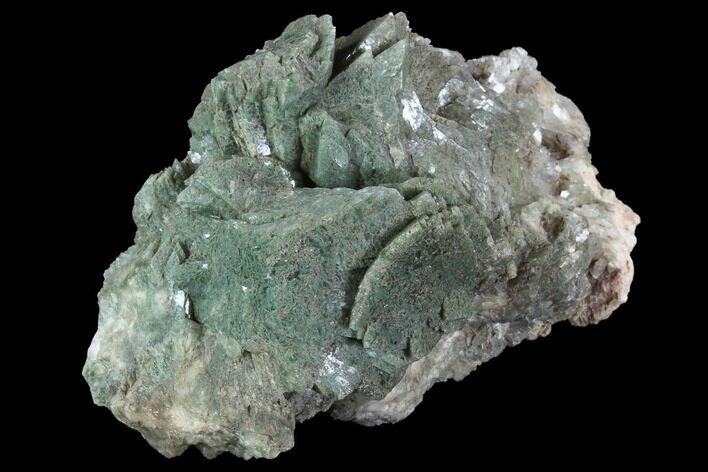 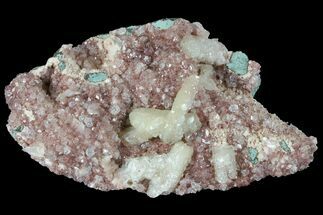 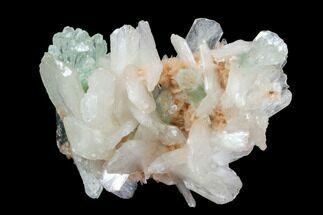 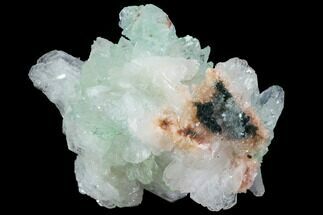 Heulandite is one of the more common zeolite minerals. 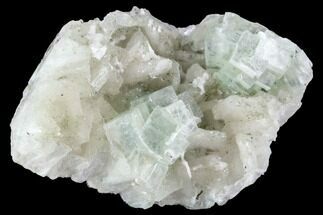 It has a very distinctive crystal form and has a noticeable pearly luster on cleavage surfaces.